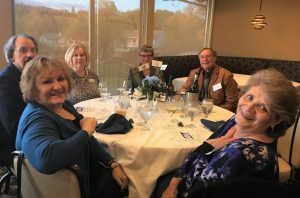 On April 11, 2019, the Assistance League® Sierra Foothills celebrated their 10-year anniversary as the 120th chapter of the National Assistance League at the Cameron Park Country Club. More than one hundred members and guests attended. The organization’s community mission and vision of caring and commitment was on display when 14 of their charter members were introduced. Crista Dixon, founding member, gave a brief look back – the serious and comedic struggles of establishing a nonprofit organization. The organization has evolved from selling candy and conducting garage sales to having annual garden and holiday home tours that draw large crowds. 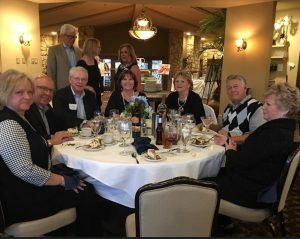 These fundraising events, along with grants and donations, help the organization provide new school clothes and community sports scholarships to disadvantaged children in El Dorado County. 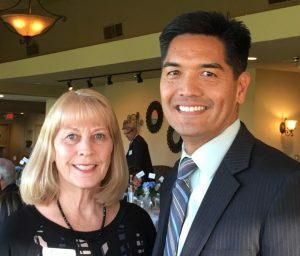 Dr. Ed Manansala, El Dorado County Superintendent of Schools, gave an impassioned presentation was about Honoring a Decade of Impact in El Dorado County. There are large numbers of disadvantaged and homeless children residing in El Dorado County that need community commitment and assistance. 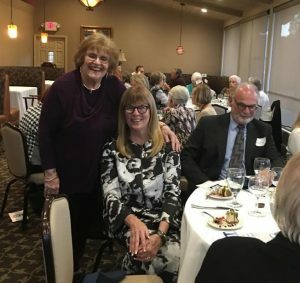 The collaboration of the Education County Office of Education and Assistance League Sierra Foothills helps to address these needs. In a decade, Assistance League Sierra Foothills has provided new school clothes to 5,563 disadvantaged and homeless children. Community sports scholarships were provided to 1,827 children/families, and 691 elementary school students were assisted in developing comprehension skills. Duffel bags were provided to 1,138 children displaced from their homes. Organized activities and shared social time were provided to 924 local seniors. 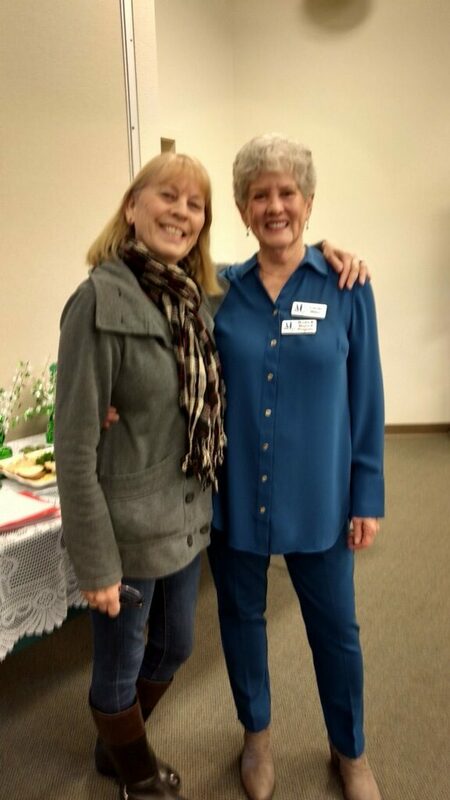 The Mission and Vision of the current 114 members of Assistance League Sierra Foothills continues. One goal for the 2019-2020 school year is to provide new school clothes to 950 disadvantaged children in El Dorado County. 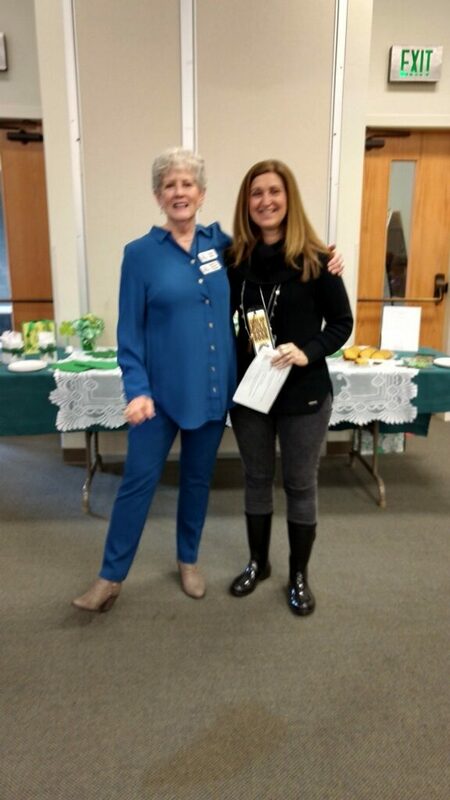 Carole Miller receives a Circle Pin for developing Assistance League Sierra Foothills’ Books & Beyond program and for her continued dedication to this vital program. Individual elementary school children in three school districts are tutored by member volunteers to help develop children’s reading comprehension skills. 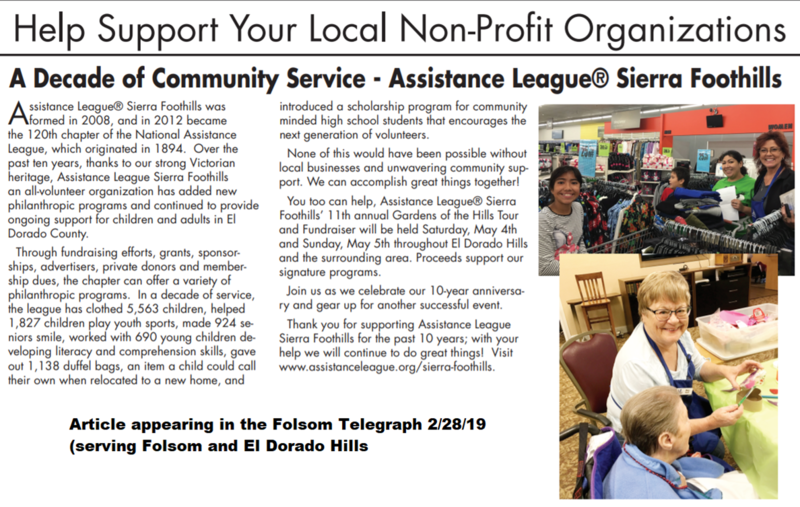 In fiscal year 2017-2018, Assistance League® Sierra Foothills worked with 165 individual elementary school students. Big Day of Giving, a 24-hour online giving challenge on 05/03/18 raised $9,869 to help fund Assistance League Sierra Foothills philanthropic programs. 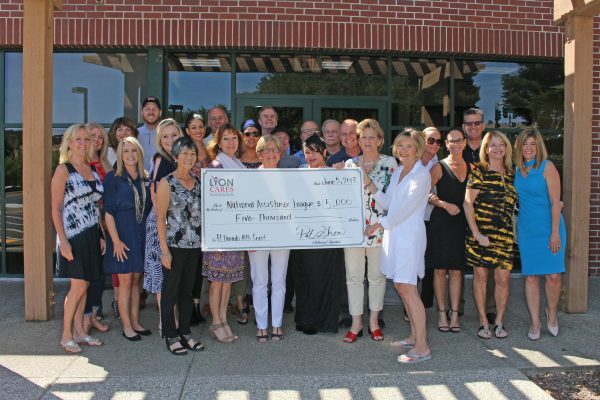 Our largest donation of $5,000 was from Lyon Cares Foundation of the Sacramento Region Community Foundation and we greatly appreciate their generosity. 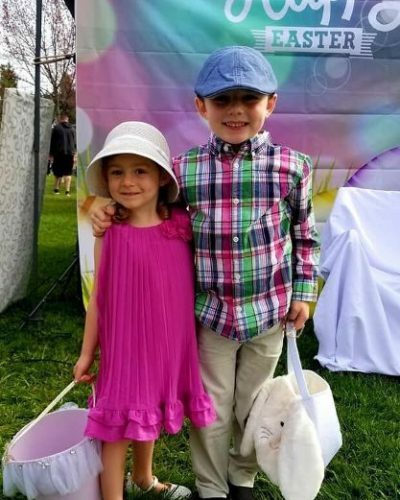 We also received donations from members and from our community including cash raised at a garage sale by Katie, 4 years old and Joey, 5 years old. Thank you to all who donated and supported the event! 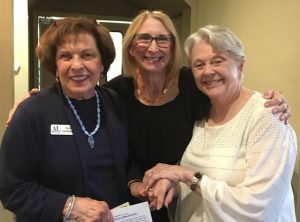 AL Sierra Foothills thanks El Dorado Women’s Fund for the 2018 Inspiration Grant Award. 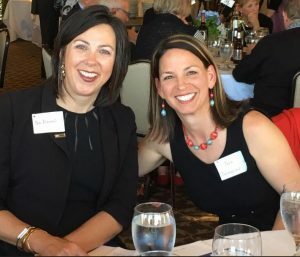 El Dorado Women’s Fund harnesses the power of collective giving to support community philanthropy across the western slope of El Dorado County. Please visit the El Dorado Women’s Fund site for all grant award winners and details. 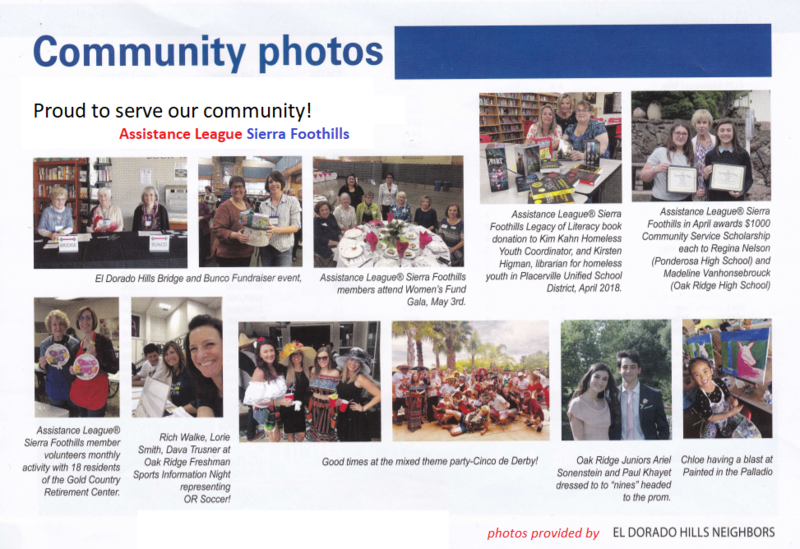 Click to view the Women’s Fund El Dorado 2017 Community Focus Grant for $25,000 awarded to Assistance League of Sierra Foothills. Click to view Assistance League of Sierra Foothills presenting the El Dorado County Office of Education with an award for their continued support of Operation School Bell. Click to view our media outlets and articles from Mountain Democrat Village Life and Neighbors Along the Parkway about Operation School Bell®, Garden of the Hills Tour and donation from American Century Championship Funds. Click to view the Nov. 2016 news release from El Dorado County Office of Education on Operation School Bell.